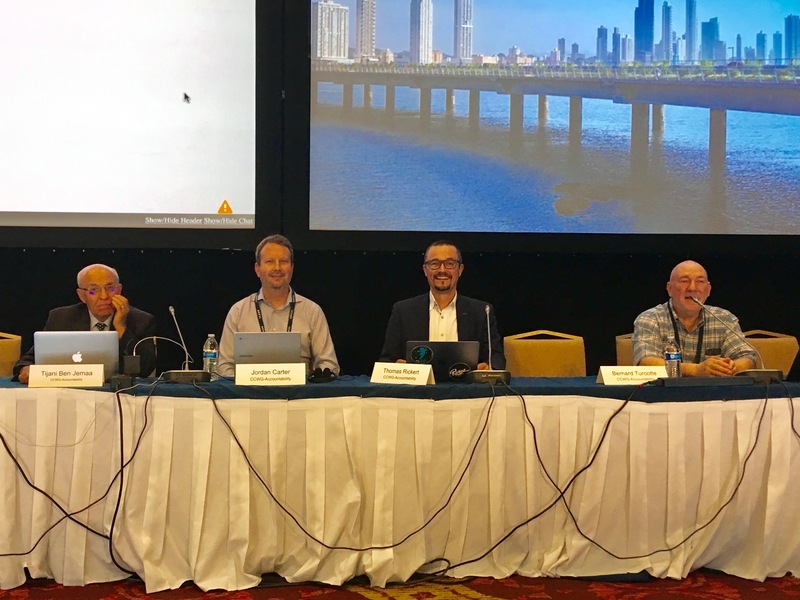 The 62nd meeting of the Internet Corporation for Assigned Names and Numbers (ICANN) took place in Panama City from 24th to 30th of June 2018. ICANN holds three international meetings per year, which rotate among five geographic regions and three meeting formats with different subject areas of focus. With an attendance of 1,100 participants, the ICANN62 in Panama City was the policy forum meeting, with a compact agenda focused on working on ICANN policy matters, including regular policy development initiatives, as well as hosting a number of cross-community discussions on key policy issues of broad interest. 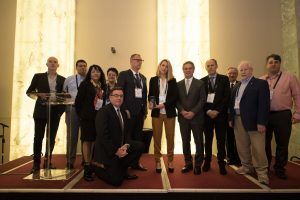 At the opening ceremony the ICANN community posthumously honored Stéphane Van Gelder for his immense contribution to the ICANN community with the 2018 Multistakeholder Ethos Award. The impact of the European General Data Protection Regulation (GDPR) on the Domain Industry in general, and more specifically on the WHOIS system of domain name registration data, remained one of the most important topics in the ICANN community. In particular, discussions regarding the Temporary Specification for gTLD Registration Data will likely test the limits of ICANN’s multi-stakeholder model. The Temporary Specification was approved by the ICANN Board on May 17, 2018 and includes several crucial changes to the WHOIS service. However, the Temporary Specification lacks clarity on appropriate access, on an accreditation system, and on how registries would need to ensure “reasonable access”. The definition of eligible third party user groups, and determination of global authentication requirements for law enforcement in accordance with applicable legal frameworks were the key questions of the debate during two cross-community sessions in Panama. The eco Names & Numbers Forum – creator of the “GDPR Domain Industry Playbook” – will follow the process very closely and inform members about developments. The Temporary Specification may be renewed by the Board every 90 days for up to one year, and must ultimately be replaced with a permanent Consensus Policy developed by the ICANN community. Accordingly, the GNSO Council, responsible for the management of gTLD policy development, took the first steps towards launching an unprecedented Expedited Policy Development Process (EPDP) to develop a Consensus Policy that will replace the Temporary Specification. Due to a very strict deadline of one year mandated by the ICANN Bylaws, the GNSO has four months to complete the process and come up with the initial report. Additionally, on 18 June ICANN also published a draft High-Level Framework for a Unified Access Model for Continued Access to full WHOIS Data for law enforcement and other governmental agencies, and for defined categories of private third parties, bound by the Code of Conduct. It is worth noting that the European Commission is already working with Members States to develop an accreditation mechanism for Law Enforcement. Agencies. In a dedicated session by Tucows on Wednesday, the company's CEO Elliot Noss expressed his concern over the fact that none of the contracted parties at whom the Unifed Access Model is aimed, are represented in the development process. He stressed that registrars will not implement any policy from ICANN that is inconsistent with the GDPR. The work of the Cross Community Working Group on Enhancing ICANN Accountability (CCWG-Accountability) is drawing to a close. On Sunday 24 June 2018 the Co-Chairs Thomas Rickert (eco), Jordan Carter (InternetNZ) and Tijani Ben Jemaa (FMAI) held their final face-to-face meeting to complete its discussions on the so-called Work Stream 2. With only a few comments from the ICANN Board, it is expected that their final recommendations will see a swift approval by the CCWG-Accountability Chartering Organizations at the next ICANN meeting in Barcelona. Once approved, the CCWG-Accountability will forward this material to the ICANN Board for approval. The work of the CCWG-Accountability is the essential keystone of the whole IANA transition. The WS2 Implementation Oversight Team composed of the Co-Chairs and rapporteurs will continue to be available to provide assistance as needed during the approval and implementation processes. The working sessions of the Commercial Constituencies within the Generic Names Supporting Organization (GNSO) to which the Internet Service Providers & Connectivity Providers (ISPCP) contributed, were dominated by the discussions regarding the Temporary Specification and the EPDP to develop a Consensus Policy that will replace the Temporary Specification. Additionally the ISPCP participated in the ICANN Multi-Stakeholder Strategic Initiatives (MSSI). The results will be used as input into ICANN Org’s 5-year strategic plans. Input from all Supporting Organisations and Advisory Committees will be collected and fed into the strategic plan. These strategic outlook sessions turned out to be a promising start for a new bottom-up approach to identifying the focus for ICANN’s strategic plans. Within the New gTLD Subsequent Procedures Working Group, the so-called Work Track 5 continues to debate possible changes to the rules and requirements concerning the use of terms with geographical significance as future new gTLDs. The discussion on geographical names seems to have come to the preliminary conclusion that for two-letter ASCII strings, full and abbreviated country names and capital city names, nothing will change from the existing rules. There is, however, no agreement yet on letter-number combinations. For many governments, the primary objective is to secure rules that would enable them to prevent purported confusion that could arise if non-governmental entities were awarded TLDs matching a geographically (or even culturally significant) name. ccTLD operators similarly hope to avoid confusion between ccTLDs and gTLDs, and preserve a market for ccTLDs which are rooted in providing online identity for national or territorial place names. Applicants or prospective applicants for .brandTLDs wish to ensure they can apply for future gTLDs corresponding to their brand, even where such brands may coincidentally or intentionally match a term of geographic significance. The most prominent example which is currently being discussed is the dispute over .amazon between Amazon.com, Inc. and several Latin American governments. Accordingly, most governments and ccTLD operators generally push for national sovereignty priority, while gTLD interests and brand owners generally push for an approach based on international law which prioritizes freedom of expression and private property rights. Although the work of the Cross-Community Working Group on new gTLD Auction Proceeds (CCWG-AP) was drowned by the discussions around GDPR, the group continues its work on discussing the process and developing a proposal on the mechanism for how to allocate the new gTLD auction proceeds. As soon as the final recommendations have been drafted, they will be provided to the ICANN Board for consideration (scope of funding allocation, due diligence and accountability mechanisms, & policies to deal with conflict of interest). Decisions on specific uses of the proceeds are not within the group's remit. An established entity/entities (e.g. foundation or fund) is/are used (ICANN would organize the oversight of processes to ensure mission and fiduciary duties are met). The Commercial Constituencies within the GNSO – including the ISPCP – have generally supported the third option, although many have expressed concerns these funds will end up being used for things outside of ICANN’s mission or in which ICANN should otherwise not be interfering. Accordingly, it is crucial that the ICANN community remains involved in the treatment of these funds, where option 3 appears to provide the most opportunity for doing so. However, it is important that these funds of approx. USD $233 million are handled in a responsible manner. 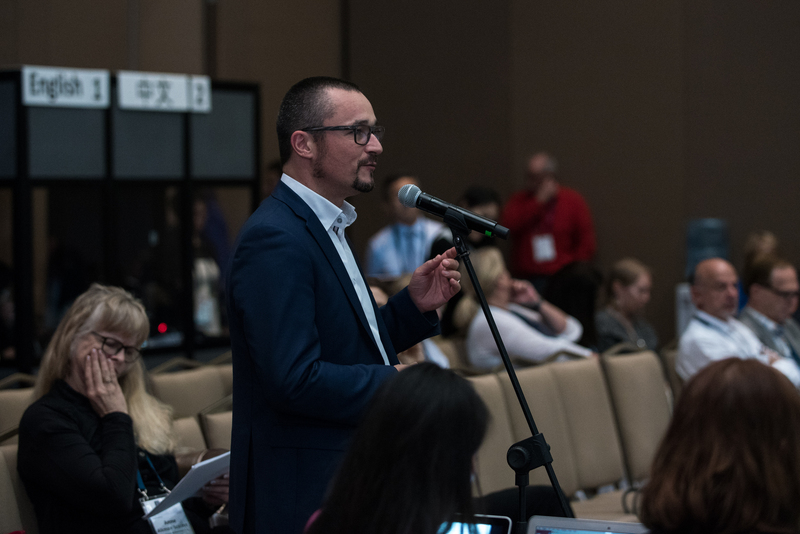 With regards to the Unified Access Model, the Governmental Advisory Committee (GAC) expressed in its ICANN62 Panama Communiqué the commitment to working together with the ICANN Org and the Community in this process and – in a first step – intends to provide detailed comments as soon as possible. With regards to the Unified Access Model, GAC advice to the ICANN Board was issued on the basis of consensus as defined by the ICANN Bylaws, meaning that this advice becomes mandatory for the Board to consider. 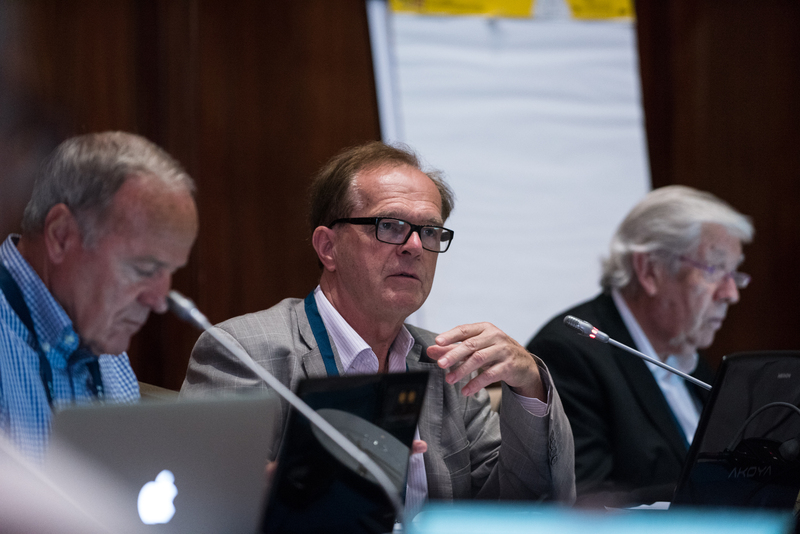 The GAC advises the ICANN Board to take all steps necessary to ensure the development and implementation of a Unified Access Model that addresses accreditation, authentication, access and accountability, and applies to all contracted parties, as soon as possible; and to publish a status report, four weeks prior to ICANN63 in Barcelona. The GAC considers access to WHOIS information to be critical for the furtherance of legitimate purposes associated with protecting the public interest, including law enforcement, cybersecurity, consumer protection, and the protection of intellectual property, and therefore further development of Unified Access Model is of utmost importance. 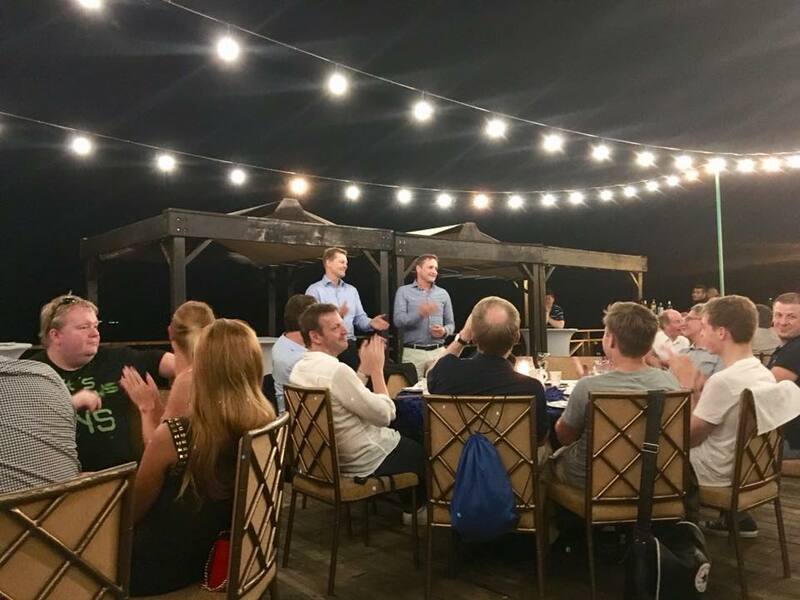 In terms of networking, the German Night – which is always co-hosted by DENIC and eco – was one of the highlights of the ICANN meeting in Panama City. 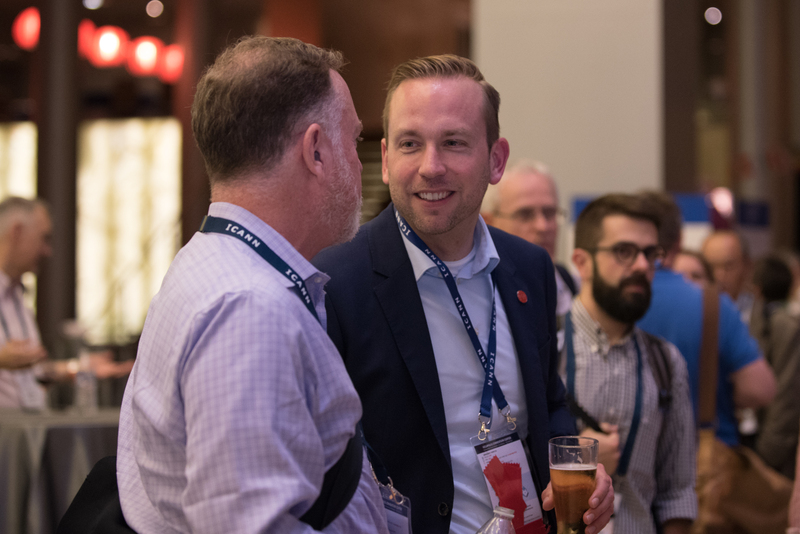 For eco and DENIC members, as well as members of the ICANN community, the event is a perfect setting for in-depth discussions. In Panama City, the third Face-2-Face Meeting of the eco Names & Numbers Steering Committee took place. Sixteen representatives from all areas of the domain industry are on the committee. These include not only representatives of country code top-level domains (ccTLDs) and traditional and new generic top-level domains (legacy or new gTLDs), but also registrars, technical service providers, consultants, and secondary market operators. Giovanni Seppia (EURid) was elected to the ccNSO Council. Nigel Roberts (Channel Islands Networks) is leaving the ccNSO Council to take a seat on the ICANN Board. The next ICANN meeting will take place in Barcelona from 20th to 25th October 2018. The meeting website and registration are now open. Along with the City of Hamburg, eco – Association of the Internet Industry and DENIC eG will act as joint hosts of the 69th ICANN (Internet Corporation for Assigned Names and Numbers) meeting from 17 to 23 October 2020. 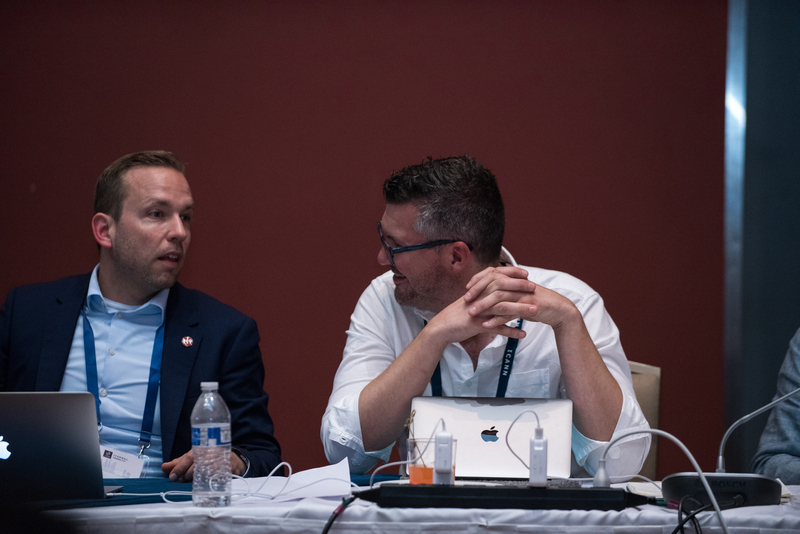 The decision in favor of Hamburg was taken on 26 June 2018 at the ICANN 62 Policy Forum in Panama. The ICANN Annual General Meeting will run from 17 to 22 October 2020 in Hamburg. Read all details here.